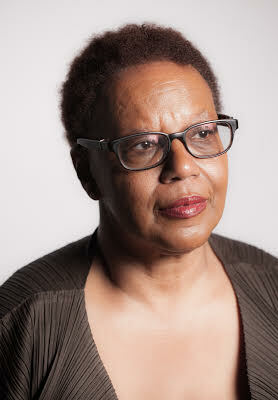 Patricia Spears Jones is a Brooklyn-based poet and author of A Lucent Fire: New and Selected Poems from White Pine Press, which is a 2016 Finalist for the William Carlos Williams Prize from the Poetry Society of America and seven other poetry collections and chapbooks. Her works are anthologized widely includingOf Poetry & Protest: From Emmett Till to Trayvon Martin, broken land: Poems of Brooklyn, Best American Poetryand Black Nature: Four Hundred Years of African American Nature Poetry. She curates WORDS SUNDAY, a literary salon in Brooklyn and is a former Program Coordinator for The Poetry Project at St. Mark’s Church and served as a Mentor for the Project’s first year of Emerge Surface Be. Her plays have been commissioned and produced by Mabou Mines. She has collaborated with musicians and artists such as Jason Hwang, Carolee Schneemann, Lenora Champagne and Danny Tisdale. She edited THINK: Poems for Aretha Franklin’s Inauguration Day Hat and is contributing editor to BOMB Magazine. She is a senior fellow at Black Earth Institute, where she edited a recent issue of About Place Journal. She is recipient of a Barbara Deming Fund award as well as awards from the Goethe Institute, the Foundation for Contemporary Art and the New York Community Trust and grants from the NEA and NYFA. She has taught at The Poetry Project, Poets House, and at University of Rhode Island, Manhanttanville College, Naropa University summer programs. She is a lecturer at CUNY. For more information of the Poetry Workshop, including a full staff roster, see the Poetry Workshop page.